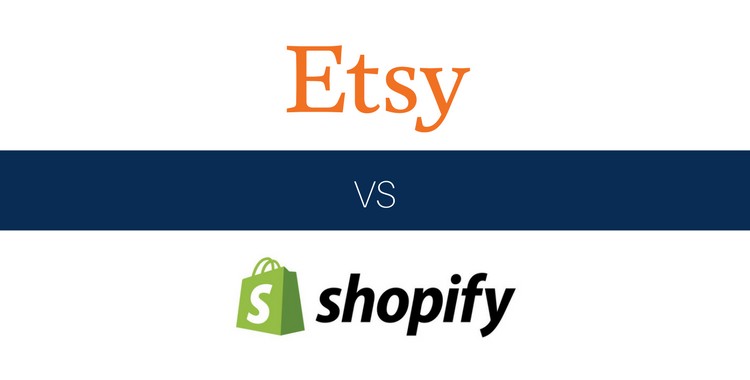 If you're on the way to kickstart your online business, a tricky question may be haunting your mind: what's the best pick - Etsy vs Shopify? Hopefully, we won't disappoint you with our answer because these are two completely contrasting ways to say none is good or bad. Each of them may be a great solution and successfully fulfill your potential if you figure out the core difference between them beforehand. This discussion is not about starting an eCommerce holy war, but about setting up the priorities. That`s what we're going to do today. To help you to come up with an ultimate decision, let's make a detailed Shopify vs Etsy review - not back-to-back comparison you’re used to see - that will debunk all hesitations. There is one crucial, I would say most deciding thing you should keep in mind. Etsy is a marketplace initially designed for artists, designers and crafters to sell their exclusive hand-made, vintage goods that fall into versatile categories: clothing & accessories, jewelry, craft supplies & tools, weddings, etc. With this marketplace, you don't have your own domain but just an account from where you list your products for sale. No doubts, it`s super easy and prevents you from all tough work like tedious website or a product page setting up. All you need are product images and descriptions. Everything is done for you but in its turn you should play the game by Etsy rules too. We won't be mistaken saying that Etsy is a perfect choice to start business, acquire clients and make people acquainted with your products. If you have an insignificant number of products and wish to to get a few sales to test the waters, Etsy is your ideal place to start. Now, let's turn to some stats. According to Etsy usage stats, currently there are 1.8 M active sellers and 30.6 M buyers. 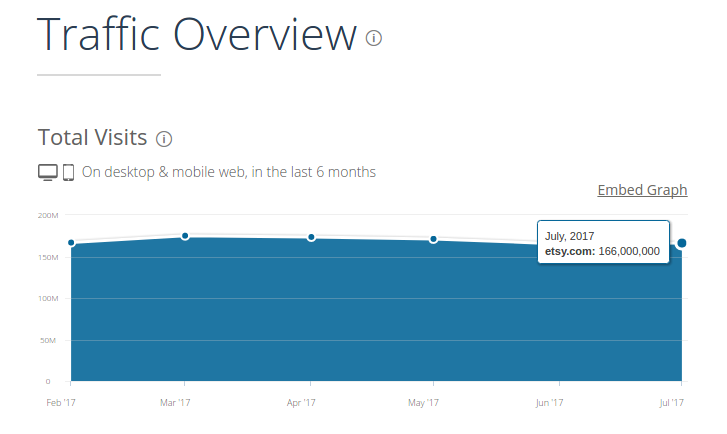 In July 2017 there were stunning 166, 000 000 visitors to Etsy marketplace. Shopify is a hosted standalone eCommerce platform that allows you to set up and run your online store on your own domain. In comparison to marketplaces, eCommerce platforms give you more power of control over your online business in terms of customization, flexibility, integration. With a standalone eCommerce solution, you're the boss of your store and can tweak and twist it as much as you want with nearly no limit boundaries or tight restrictions. For example, it's completely up to you to define site structure or apply design. But with opportunity comes responsibility. In comparison with marketplaces, having your own e-store means that you're in charge of shop maintenance, new client engagement (it's clearly easier to do on marketplace), webstore conversion funnel building, etc. There is nothing wrong with that, you just need to keep it in mind. What does stats say? According to recently released Shopify stats, it now powers more than 500,000 businesses in 175 countries. 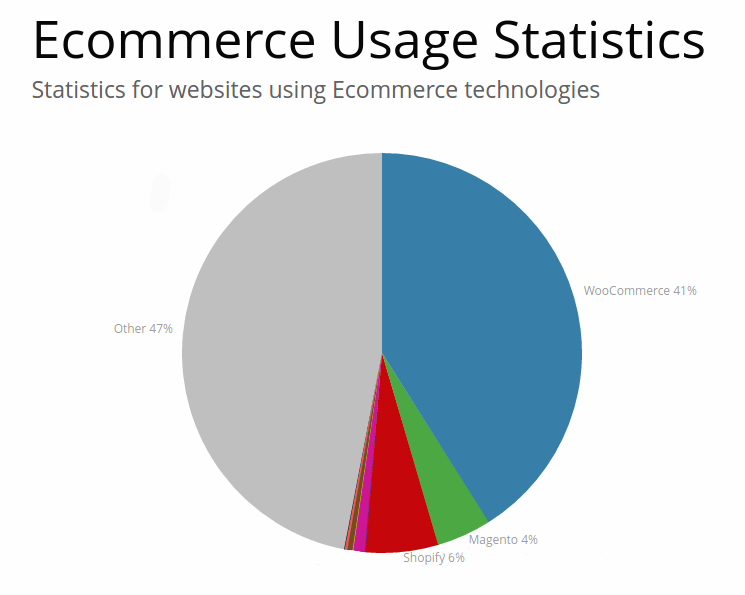 Built With says that this eCommerce engine takes the second usage position over the entire internet after WooCommerce. Now, it` s time to delve deeper into these solutions peculiarities, what do you think? Which solution will give my creativity a free rein: Shopify or Etsy? Where can I expect more exposure from: Etsy vs Shopify? Which solution has more reasonable pricing: Etsy or Shopify? One more gentle reminder , the mentioned differences won't be pros or cons. Everything depends on your target, resources and as already mentioned - priorities. With Shopify, you`re able to set up your own design for your beautiful store. This eCommerce provider can be proud of its powerful theme store. It offers piles of free and premium templates that can be picked up and installed in a flash. If you have a desire to unleash your creativity and apply a unique and recognizable design to your store, no problem, do it. Shopify’s templates generate HTML/CSS allowing you to get any design of your dream. On Etsy, you have a standardized Etsy shop design. You`re able to pick up colors and sort products to a degree, but the customization is within Etsy’s parameters. Yes, you can develop your own branding with the logo, layout, etc, but again, all that within Etsy’s strict parameters. Which conclusion we reach? If you don`t require independence of customization and feel that Etsy`s offered features are more than enough for your business size, you're on the right way. Which solution won't hit you in the pocket? There is no static answer, everything depends on the number of products you sell. Either Etsy or Shopify will charge you differently. With Shopify, you`ll have to pay a subscription for Shopify store + fees ranging from 0.5 to 2.0 % per month except if you're using Shopify Payments. Your Etsy account along with storefront are costless but you'll encounter various transaction fees. 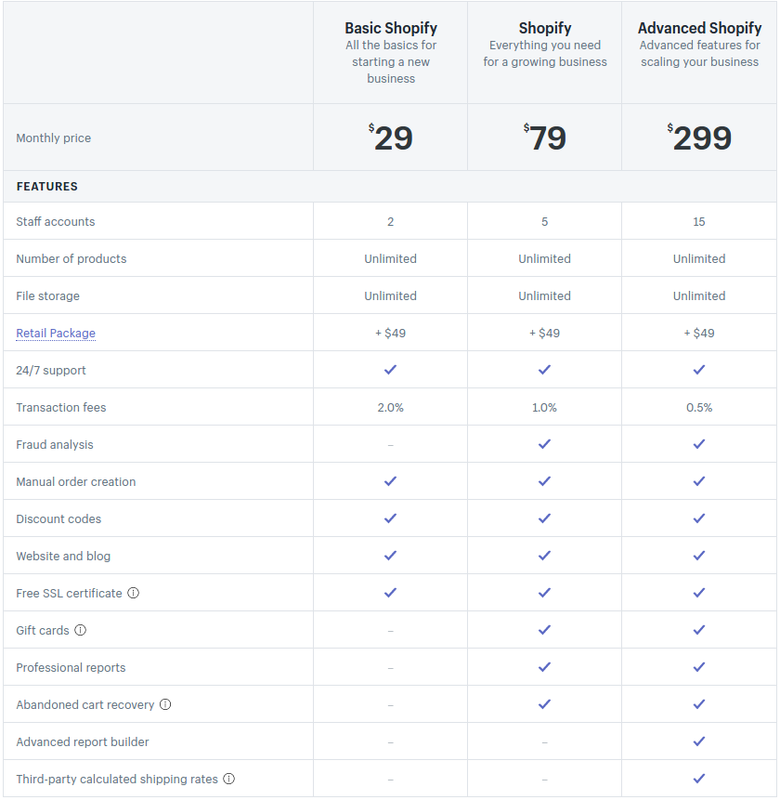 To deepen in details, Shopify has three pricing plans with a free 14-day trial period. They are: Basic ( 29$), Shopify ( 79$) and Advanced Shopify( 299$). The further you go, more enhanced capabilities and less transition fees you get. Have a look at pricing plans descriptions and offered features to understand which one suits you best. Etsy has other fees & payment policy. Etsy works with 2 versions of PayPal: integrated PayPal and standalone PayPal. 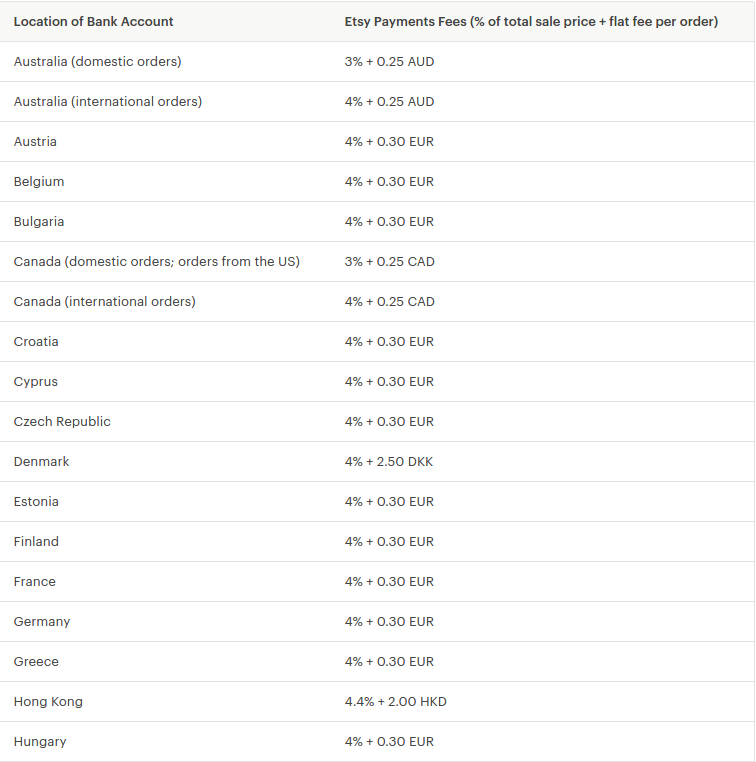 Taking into account Etsy listing fees, you'll pay $0.20 fee per listed product and 3 - 4 % fee per each sale depending on the location of your bank account. What kind of the outcome can we come up with taking into Etsy vs Shopify account pricing policy? If you just on the start of dong online business - Etsy is a worthy route to choose. However, if your sales boost, the transaction fees can burn a hole in your pocket. If you have bigger profit margins, Shopify may appear to be more affordable solution. But again, everything depends on your business size. Is it easy to get high level exposure? Obviously not! It`s a tough road that requires a tremendous amount of time and efforts of course. Undoubtedly, when comparing Etsy vs Shopify, with the marketplace it`s much easier to get traffic than with eCommerce platform. And yes, partially it`s so. It`s true that Etsy being a global marketplace ensures you a sufficient exposure. Your goods may appear in recommendations, top-rated positions, can be found in the list of categories, etc. However, at the same time all your items will be listed somewhere among hundreds of thousand worthy attention products of other merchants. How to stand out from this crowd? Actually, there are nearly 2 things that may distinguish your brand from others, they are thumbnails and slightly tweaked headings. Let`s assume that the user has already clicked on your product. Great! But is there a guarantee that your already “potential” customer won't succumb to temptation of other “unique” neighbor items? As result, such a powerful exposure can strip you of your uniqueness and drive up even more competition. When it comes to standalone store, Shopify, it's much harder to get your first visitors. But nothing is impossible! With the help of well-organized marketing strategies and consistent SEO efforts, it`ll be much easier to turn a simple visitor into a potential customer. To appear in the top positions in SERP is more effortless than to compete with hundreds goods. The shoppers are all yours since there are no other third-party “temptations” on your site. With own web store, if a person is already on your site, there are far more bigger chances that he/she will remember your brand after the purchase and come back to your website ( not a marketplace) again. What`s the takeaway? If you have a big number of products that can develop a new brand in eCommerce industry, Shopify may be a chance to reinforce your business. Click for 11 Innovative eCommerce business models you'll be able to integrate with Shopify. But if you have a small number of products without much intention to transfer it into large enterprise business, Etsy is a wonderful solution. Etsy vs Shopify review: What's the bottom line? After the comparison of Etsy and Shopify, I won't get tired of repeating myself that everything is about setting up the priorities. I can't say that one is better another one because both solutions perform different functions. All is up to you, depending on your profit margins and goals. Of course, targets may change from time to time, don't be afraid to move on to achieve greater heights. 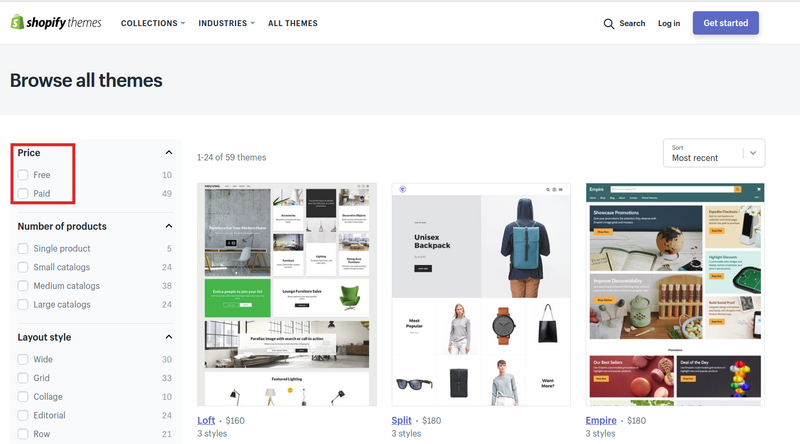 If you feel that Etsy gave you lots of considerable experience in business running and you have a desire to launch your own store, Cart2Cart may help you. This automated shopping cart migration service will securely transfer all your data from Etsy to Shopify within a few hours. Without tech skills, you`ll get a thorough database switch by means of step-by-step migration steps. It won't influence your current performance on Etsy website, it`ll keep your items online and available during the Shopify import. What`s more, Cart2Cart offers 24/7 support that is ready to assist you i any tech-related questions. Ready to make a fresh start? Our congratulations! Start a Free Demo migration and enjoy your business growth instantly.